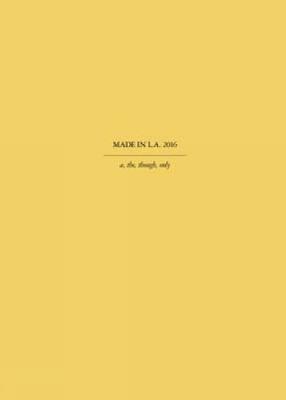 Made in L.A. has established itself as an important platform for a wildly diverse population of artists. The biennial exhibition offers a view onto the current trends and practices developed within and throughout Los Angeles, one of the most active and energetic art communities in the world. Under the direction of co-curators Aram Moshayedi and Hamza Walker, the 2016 iteration promises to offer a mix of the local and international perspectives that are an important part of the city's identity.